We are as passionate about customer satisfaction as we are about making chocolate. We hold ourselves to the highest standards…so you can, too. 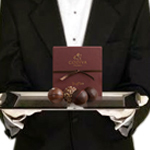 Your order is guaranteed to arrive in perfect condition, no matter the weather, containing the elegant packaging and quality chocolate customers expect from Godiva. If, for any reason, you are not completely satisfied, simply contact us to return your order for a prompt & courteous replacement or exchange. Why didn't my promotion code work? How do I register my Reward Club card online? Your order is guaranteed to arrive in perfect condition, no matter the weather. 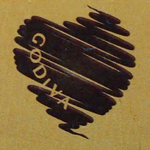 We specially box for the climate and tuck our elegant packaging inside crisp, Godiva tissue paper. We'll also include a free gift message from you. 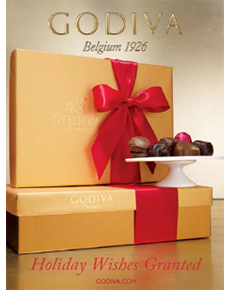 Our award-winning Chocolate Reward Club offers exclusive member benefits such as a FREE piece of Chocolate every month in GODIVA boutiques, and FREE standard shipping for one online order. Your order is guaranteed to arrive in perfect condition at the specified shipping address provided. If you are not completely satisfied with the quality of your order upon arrival, please contact Customer Care within (30) days of receipt, with a detailed description and photograph(s) evidencing your dissatisfaction, for assistance with a replacement or exchange. .